So I had a few beers at the weekend to celebrate the start of Oktoberfest, and there are a few alternatives here for a different sort of Arthur's day. 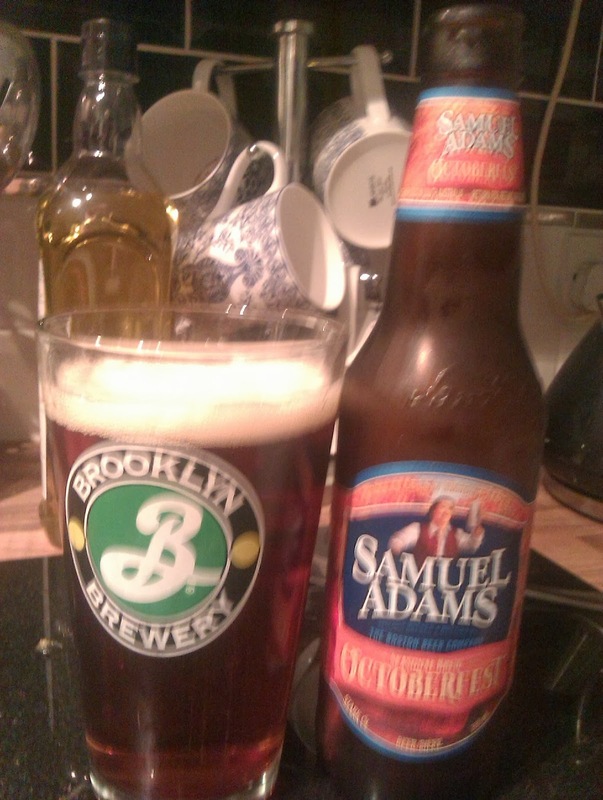 Lets start off with another beer being ticked off from “1001 Beers...” and its a good one. Description: Pure amber in colour (I almost expected to find a mosquito in there with dinosaur DNA in it...), clear, with a good beige head and plenty of lacing. Subtle smell of caramel, toasted malt, and a little breadiness. 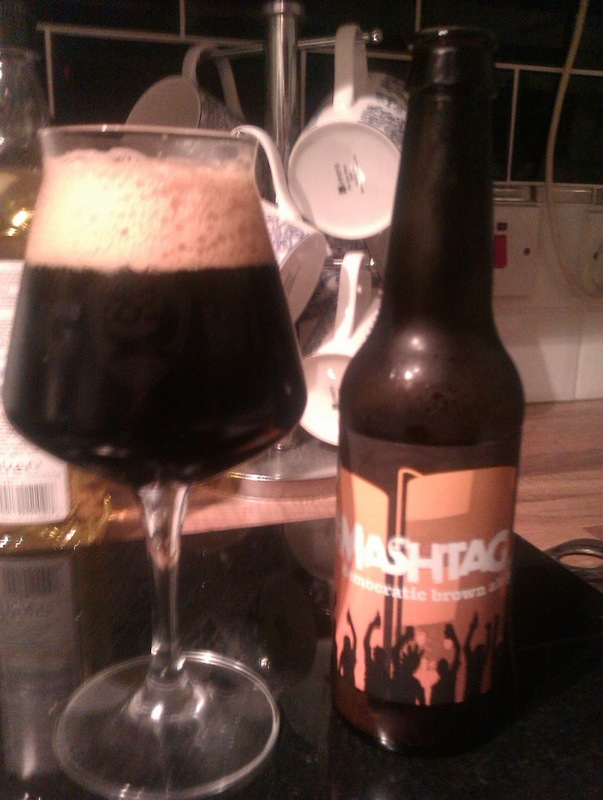 Good lightly toasted malt flavour profile, sweet, but nicely balanced. Light to mid body, coats your mouth a bit, with a dry tart finish. Thoughts: I think we've found (and when I say “we” I really mean the folks from Lighthouse Wines) another good American craft brewer. This is lovely and autumnal. 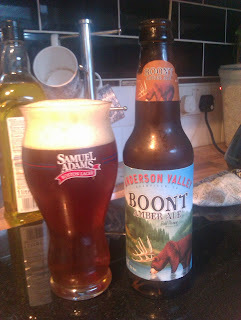 Not quite as good as their Hop Ottin IPA, but still a good wee beer. The observant among you (hands up, who noticed...) will realise I went from beer 173 in the last post – to beer 175 in this one. Well a quick flick through the book by chance showed me that one of the beers I have had, which I thought was outside the list, – Kozel – was actually there under a slightly different name. A free tick, it doesn't get much better than that! Description: Amber and clear, with a small white head. Not too much going on smell wise, some malts, and some hoppy citrus. Caramel malt flavours, a little buttery/nutty sweetness, and some grains. Light to mid bodied, decent carbonisation. Thoughts: I know I really should be drinking the German originals but picked this up to fill the gap and finish off the last of the Sam Adams seasonals we get here. Nothing amazing but a good solid drinkable autumn beer. Description: Brown with a good white head. Smells of caramel and malts. Some marzipan nutty flavours, caramel malts, a little hop light fruit in the background. Mid body with medium fizz. Thoughts: A bit of background to the interesting development of this democratic beer here. Given this process I wasn't sure what I was going to make of it, there was a real chance this could have been a confused mess, but this was good. Again I think that overall Brewdog's darker beers are better than their lighter ones. Description: Black but transparent. White Head. Aromas of toasted malt and tropical fruit from the hops. Dark, chocolate malts balanced against some tropical fruits (grapefruit mainly) and a little funk. Slightly oil mouth feel, medium bodied, dry finish. 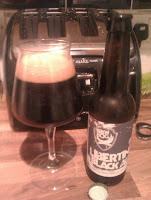 Thoughts: Black IPA always interest me, this was good, but not as good as Thornbridge's Wild Raven. Description: Dark brown and white head. Woody/smoky aroma (tobacco and ash? ), a little citrus, and some OK toasted malt. Not a huge amount going on flavour wise, a little caramel malt, slightly sweet with a light bitter finish. Light to Mid body. Thoughts: A beer I bought because I thought it was on the list but it isn't... And anyone who has read a few of these posts will know I’m not a fan of bitters. This one didn't have much going on, but wasn't... bad just a little dull. Probably quite session-able though not sure I’ll be buying again.